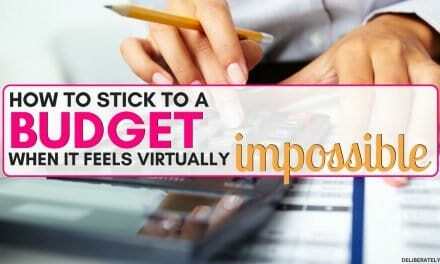 Do you feel like you’ve tried it all when it comes to lowering your monthly grocery bill? Here are the money saving tips I used to bring my husband’s and my grocery bill down from over $1,000/month to less than $300/month. 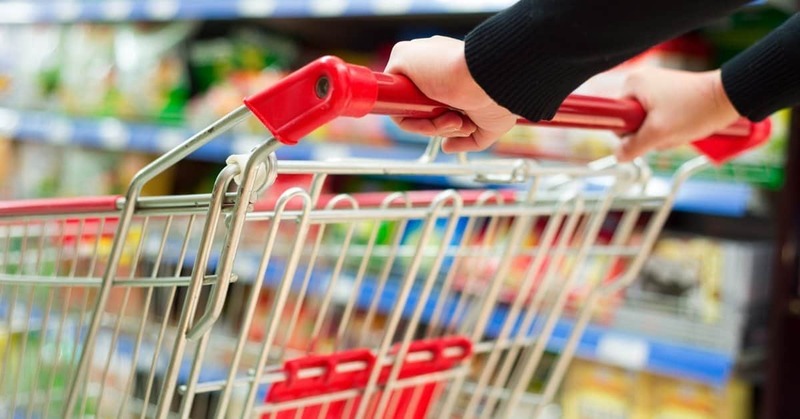 Here are a couple easy ways to save money on groceries month after month. ✅ This is EXACTLY what I did to lower our grocery bill by $700 a month. I used to assume that our grocery bill was just high and that there was nothing I could do about it. Sure, I could do some small things to bring our bill down by $5 here and there, but really, is $5 worth spending time clipping coupons or scavenging the weekly flyers for? 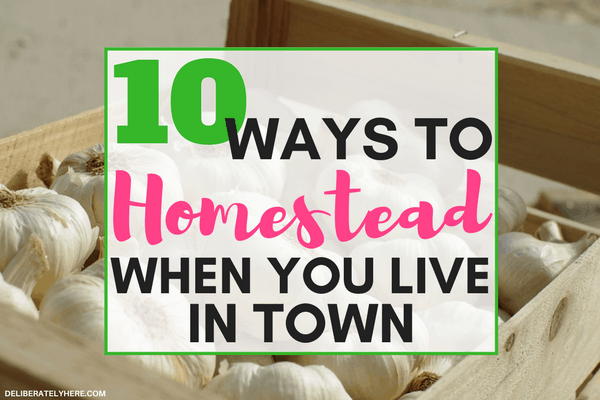 I wasn’t having too much luck bringing our grocery bill down, until one month when I decided to crunch all the numbers and found out my husband and I had spent more money on groceries that month than we spent on our rent. We had spent over $1,000 on groceries. For ONE month. For TWO people. I spent the months that followed researching, learning, and implementing everything I could to lowering our grocery bill – and it worked. Using everything I learned, I was able to lower our grocery bill by over $700/month. What would you do if you had an extra $700/month? Having an incredibly high grocery bill is not fun, and it’s something that no one should have to live with. If you’re ready to lower your grocery bill, I have laid out below everything that I started implementing in our lives to lower our monthly grocery bill. Please don’t up and run when you read this one – I know there are a lot of people who never want to meal plan, or the thought of meal planning flat out confuses them. But, meal planning is the NUMBER ONE reason why I was able to lower our grocery bill by so much. Everything else in this list plays into lowering our grocery list, but I am 100% confident that meal planning was the most effective strategy we used. If you’re confused by meal planning, or you just don’t have time to dedicate to meal planning every week, this is my favorite meal planning tool that does ALL the work for you, while still providing you with all the customization you need. I was an avid last-minute meal-planner. I never planned our meals in advance, and that’s the reason why our grocery bill was so extravagant. 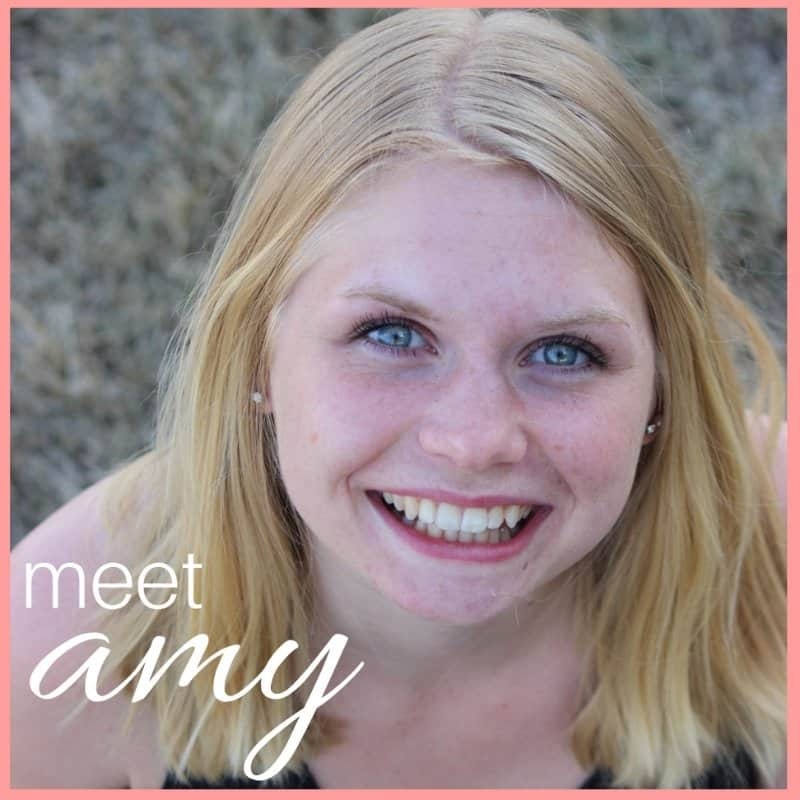 When I started meal planning, I started going to the grocery store just ONCE a week and was able to get everything I needed for our week of meals in that one grocery shop. That alone brought down our bill by a LOT. If you’re serious about lowering your grocery bill, this is the best thing you can do to save money on groceries. Freezer cooking comes in a close second to meal planning when it comes to saving us money on our groceries. Even when I started meal planning, I still liked to have those “quick and easy” dinners in our freezer for the nights that I didn’t have time to cook. These meals aren’t only incredibly cheaper than the freezer meals I used to buy at the grocery store, but they’re also a LOT healthier. I can’t imagine having a freezer without any ready-made meals in it, because some nights I just NEED to be able to NOT cook. But even on those nights, we still need to eat. ✔️ This is the course I took to help me start freezer meal cooking, and it’s the one I recommend everyone interested in freezer cooking tries out. With the membership you get access to TONS of different freezer meal plans, you’ll learn how to make 10 freezer meals in one hour, you’ll save money by using the budget-friendly recipes provided, and, well, in turn, you’ll get a fully stocked freezer. Click here to check it out. It’s easy to feel like you’re saving HUGE money when you use coupons, but the reality is, if you weren’t planning on buying whatever item you bought because you had a coupon, before you had that coupon, you actually spent money you didn’t need to spend (and could have saved, instead). Rather than finding coupons and making my grocery list revolve around coupons, I started making my meal plan, then making a grocery list, THEN briefly looking to see if there were any coupons available for the items on my grocery list. If there were coupons available, that was great. If there weren’t then I wasn’t about to use a coupon just to use a coupon. While couponing this way hasn’t saved us a TON of money, over time it has added up to a bit of savings. While it’s true that those full-time couponers save thousands upon thousands of dollars on their groceries, I just don’t have that much time to dedicate to couponing, so finding coupons JUST for the items on my grocery list is as far into couponing as I go. This shopping tip has helped us save a lot of money over time. Who knew that something as simple as a name could add so much money on to the price? Most grocery stores have their own brand of products, as well as name brand products. While some name brand food items do taste better than the generic brand (some, not all – and you’ll learn this through trial and error), most of the time you won’t even be able to tell the difference between the two. Next time you’re grocery shopping, rather than grabbing the name brand sour cream you normally buy, see what the price of the generic sour cream is. There’s a good chance it’s a good chunk cheaper. I often save at least $0.40 on sour cream simply by buying the generic (or store) brand over the name brand stuff (and to us, the generic brand tastes no different than the name brand). While $0.40 doesn’t sound like a lot, think about what would happen if you saved $0.40 on everything you bought. It would add up pretty quickly. I mentioned shopping with a list earlier, but it deserves its own section – it’s that important. Shopping with a grocery list will help you only buy what you really need, rather than buying something because you can’t remember if you need it at home or not. It also helps you spend less time in the grocery store, and allows you to skip certain aisles altogether (which helps take away the temptation to buy things you don’t need). I never go shopping without a list – it would be far too dangerous, and I just know I can’t rely on my memory to remember what I do and don’t need at home. Make creating a grocery list a habit you do before you go grocery shopping, then be sure you remember to bring that list with you to the store (and ONLY buy what’s on your list). If you want the whole shebang together (meal planning and grocery lists) click here. When I was able to stop going to the grocery store at least 4 times a week, I was able to stop spending money that didn’t need to be spent. I didn’t fully realize how much those quick, small grocery shops were costing us until I started realizing that I was going in for one or two items and ending up at the checkout with a basket full of stuff we really didn’t need. If shopping once a week sounds like it would be impossible for you, you need to give meal planning a try, and this will help you do that. Most grocery stores have a discount or clearance section. Make that section of the store your first stop at the grocery store, since you might be able to find a couple items on your list in there. The reason that most items are discounted is because they are coming up on their expiration date, but the beauty of food is, most items can be frozen to last longer. I like to shop for milk, cream, cheese, yogurt, sour cream, meat, and some other stuff in the clearance section. Even if you don’t need the meat for this month’s meals, if you have room in your grocery budget, you can purchase a couple packs of discounted meat and freeze it at home and use it for next month’s meal plan. Milk and cheese can also easily be frozen and used later, so they are good things to stock up on when they’re at a discounted price. If where you live doesn’t have good, drinkable water, rather than paying too much money on bottled water, invest in one of these to filter your water for you. There are thousands of different kinds of water filtration jugs, but these are my top three picks. Check current prices here. My husband and I used to have terrible water, and I was too stubborn to pay for bottled water, but also too stubborn to buy any kind of filtration system. For months I would boil water, wait for it to cool, then pour it into a water jug and keep it in the fridge. And, for months we were not drinking the amount of water we should have been. We finally decided to buy one of these (it was a LOT cheaper than I was expecting), and we’ve been using it ever since. This one should go without saying, but everyone could use a reminder from time to time. Shopping when you’re hungry makes everything look like it would be a good purchase. You’ve even justified spending $10 on a loaf of bread, because, sometimes we all just need an enormously over-priced loaf of bread, right? Shopping while you’re hungry will make you spend more money on groceries, so always make sure you’ve got a full stomach (or, at least snack on something before going into the store) before you go grocery shopping. I had a hard time getting used to doing this, as my husband and I are both huge meat eaters. But, no matter how much we love meat, the truth is still the truth – meat is expensive. We’ve started eating at least one meatless dinner a week, and even though it’s not a huge change, we have been able to notice the savings over time. Maybe you’re not so much of a meat eater, and you could have two or even three meatless meals a week, that will help cut your grocery bill down even more. Buying fruits and vegetables that are frozen or canned will save you a lot of money, especially when that particular fruit or veggie that you want is out of season. While you can’t always get away with buying everything frozen or canned, you can save a bit of money by buying some fruits and vegetables in the not-fresh aisles. The bulk section is a great place to look when you’re buying things like spices, dried herbs, rice, pasta, grains, oats, and flour. Of course, don’t just assume that the bulk bin is always cheaper, you will still want to compare the price just in case the single item happens to be on sale for a cheaper price, but for the most part, you will find better prices in the bulk section. Comparing prices of items simply isn’t accurate enough. If you’re looking at two boxes of cereal, one for $3.50 and one for $4.00, it seems safe to assume that the cheaper box is a better deal. But, this is where unit prices come into play. As you look further into it, you see that the box for $3.50 is 300 grams, while the box for $4.00 is 600 grams. Now it’s clear to see that the box for $4.00 is the better deal because you’re getting more for what you’re paying. Most grocery stores offer unit prices on the price tags of items, and if you’re not savvy in math (like me), these are real life-savers. Start comparing unit prices while you’re grocery shopping and don’t just assume that the one with the smaller price on the price tag is the better deal. So many of us get into the habit of shopping at one specific grocery store and never straying from there. Doing some moving around to different grocery stores has the potential to save you a lot of money on groceries. While it usually doesn’t make sense to shop at 7 different grocery stores and get a single item at each one, there are some grocery stores that offer lower prices on almost all their items than other stores. If you find you spend more money when your husband and/or kids shop with you, try to plan your shopping trips during times that you can go alone. Shopping alone allows you to grab everything you need as quick as possible and get out of the store as fast as you can – without going to parts of the store that you don’t need to go to (somehow kids always seem to end up in the toy aisles…). Shopping with cash rather than credit cards is a surprisingly effective way to save money. When you go to the grocery store with only $75 cash (and NO backup money in the form of credit cards), it’s much easier to stick to that $75/week grocery budget than when you go shopping with a credit card that has a several thousand dollar limit. Shopping with cash also MAKES you only spend what you have – because there is no more (even if you wanted to spend more, you couldn’t). Even if you don’t use a cash budget, you can still go to the bank and get cash out before going grocery shopping to see if it helps you save more money than when you shop with a credit card. 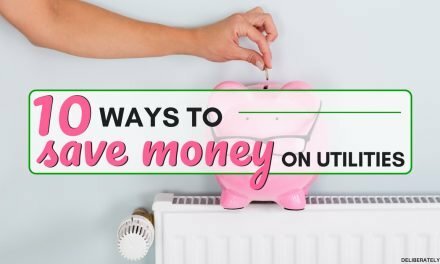 If you use all these different money-saving tips in conjunction with one another, you have the potential to bring your grocery bill down significantly and to save thousands of dollars every.single.year. Wouldn’t it be nice to come out of the end of the year with a couple thousand dollars to spare? 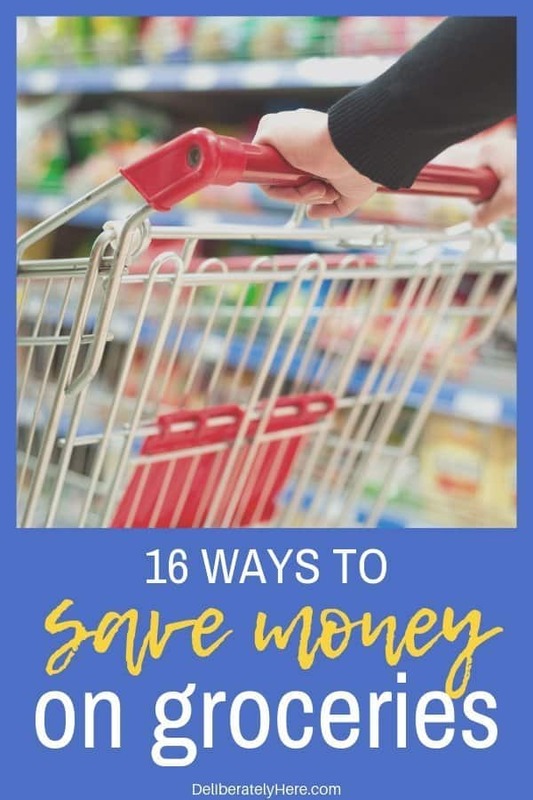 While I truly believe that every single one of the 16 money saving tips listed above has played a large part in bringing my husband’s and my grocery bill down, I also believe that meal planning and freezer cooking have been the two main things that brought it down the most. 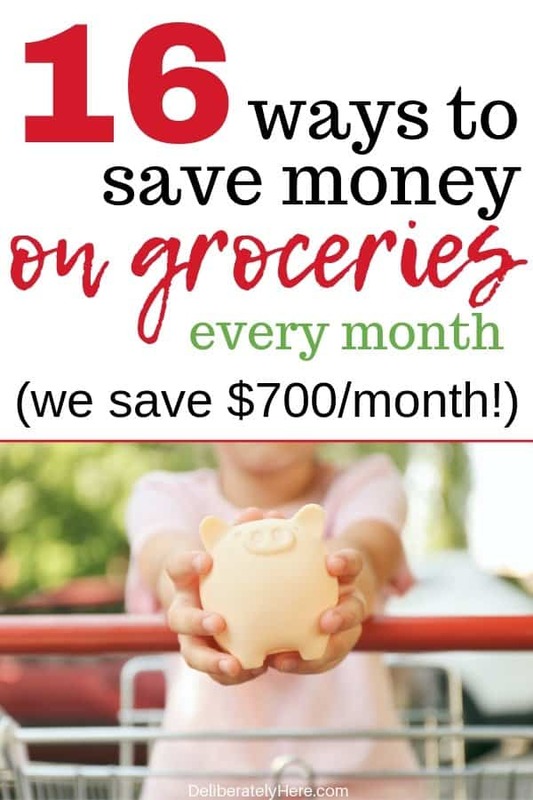 If you choose to only do one or two things out of this entire list – I strongly suggest you choose meal planning and freezer cooking – as those are the things that helped us see the fastest savings on groceries. Click here to learn the meal planning method that saves us hundreds of dollars a month. 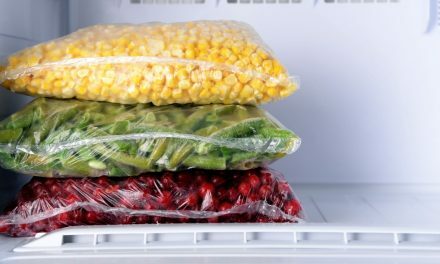 You can also click here to learn more about freezer cooking, and how it can save money. Do you have some clever ways to save money on groceries that you use often? 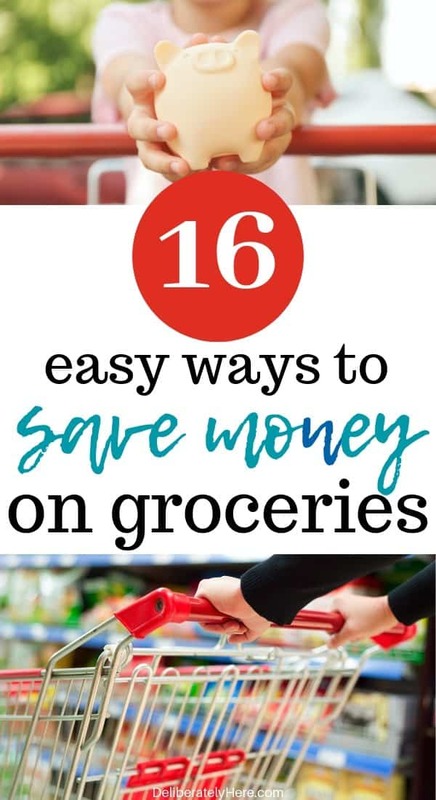 Feel free to share them below so everyone can benefit from learning new ways to save money on groceries.